Home � Disney World News , Disney World Special Events , Epcot Food and Wine Festival � Book Your 2015 Epcot Food & Wine Festival Culinary Demonstrations Now! Book Your 2015 Epcot Food & Wine Festival Culinary Demonstrations Now! Starting July 30th, 2015 everyone can call Disney Dining to reserve their place at the demonstration of their choosing. These low cost ($15 per person) seminars are the bargain of the Festival. The chefs spend close to 45 minutes talking to the audience, discussing the dish that they are preparing for all to taste, and answering questions. There are many other great chefs to check out. The opportunity to see a chef prepare a dish live and sample it, along with a wine pairing makes this a great way to experience the Festival. 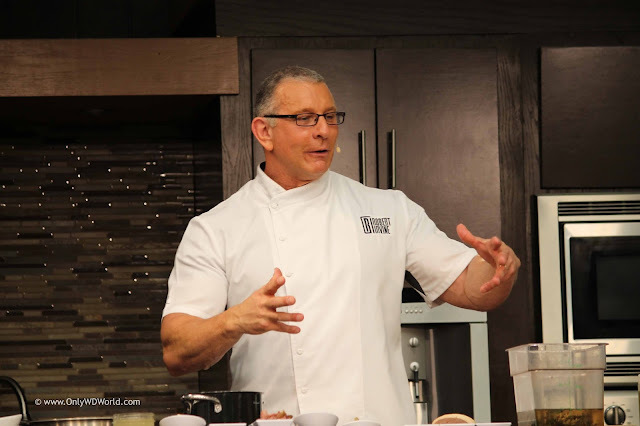 We saw Robert Irvine and Gale Gand during the 2014 Festival and certainly were not disappointed. There is certainly something fr everyone during the Epcot Food & Wine Festival. If you have never visited Disney World during the Fall this is the year for you to attend! 0 comments to "Book Your 2015 Epcot Food & Wine Festival Culinary Demonstrations Now!"